This old Orkney house (c.1850) has undergone a complete renovation and now offers quality accommodation for visitors: 2 double rooms and one twin, all en-suite. In addition 'family' accommodation is available by the provision of an extra single bed or cot in the room. 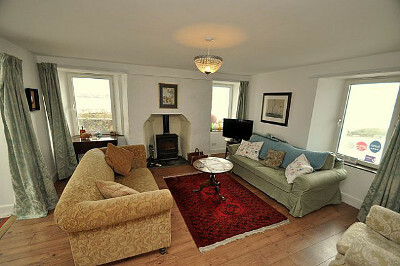 All rooms have tea/coffee-making facilities and TV/video. Guests are welcome to use the breakfast/sitting room and conservatory with their garden and sea views, and for an extra charge the use of our sauna is available. What better way to round off a day's beachcombing among the birds and seals than to relax in the warmth of a sauna - and then sit in the conservatory to watch the sun go down over the bay! On rainy days a selection of DVDs, videos, jigsaws and board games is available on request. We can offer packed lunches and will do our best to cater for any special dietary needs. The house is no smoking throughout and no pets allowed. 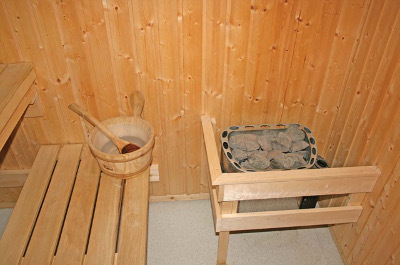 Use of the sauna and wet room is available to all guests. 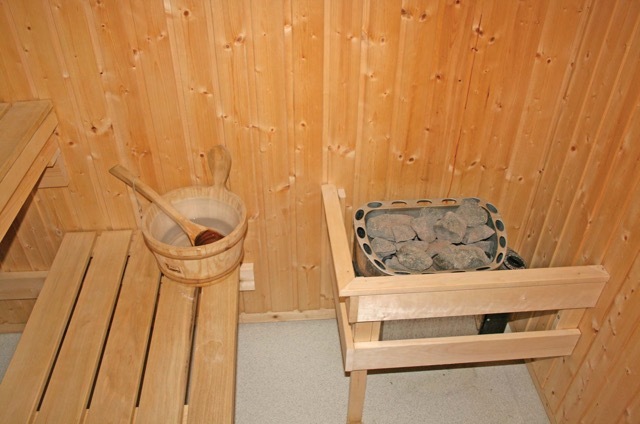 What better way to relax after a long day on the beaches than to come home to a nice hot sauna.